It is hard for me to not to be romantic when talking about Superman. He was the first comic book I ever read, the first action figure I ever owned, and often times, I’ve felt like a strange visitor from another planet. Superman inspires me like no other because he is the ultimate clutch player that comes through when things are at their worst. Needless to say, I had been eagerly anticipating the release of Man of Steel for over a year now and I finally got to see it on opening night and it is an epic film that captures who Superman needs to be in 2013. We all know the origin story: baby Kal-El is sent to Earth to escape Krypton’s doom and lands in Smallville where he is raised by Jonathan and Martha Kent. General Zod brings his army to Earth in order to hunt down Superman and take over the planet. Previous films never really explore Krypton, but Zack Snyder goes all in by showcasing its beauty and majesty. In a way, Krypton was another character in the film which made its destruction resonate even more because I didn’t want to see it go. While Christopher Reeve will always be my Superman, Henry Cavill does a fantastic job in the role. He displayed the perfect combination of virility and vulnerability that connected with the audience and made you vested in and concerned for this seemingly indestructible character. Michael Shannon turns in the best performance of the film as Kryptonian General and megalomaniac, Zod. I have been a fan of Shannon’s work for quite some time and was anxious to see him in this role. Russell Crowe and Kevin Costner were on point as Superman’s father figures, Jor-El and Jonathan Kent. Diane Lane exudes a mother’s love as Martha Kent and Amy Adams is great as Lois Lane. She wasn’t a damsel in distress which was a breath of fresh air. In the other movies, you see Lois in the Daily Planet but you never see her work on story. In this film, Adams portrayal of the character shows us why Lois Lane is a world class journalist and it was entertaining to see it unfold. The action sequences in the film are absolutely amazing and truly captured the carnage and mayhem of what it would be like if two super-powered gods were duking it out in a major metropolitan area. In the comics, Superman often gets into fights where he gets thrown and often has to throw his opponent through a building or hit him with a cement truck. Seeing this in a live action movie was off the charts and truly needs to be seen to be believed. For my money though, Metropolis got too destroyed and I would never even dream of living in that city after what transpired. I was worried about the absence of John Williams’ musical talents, but there was nothing to fear. Hans Zimmer’s score is truly magnificent in every sense of the word. It embraces the diversity of sentiments throughout the film and is action packed and emotionally gripping. I’m going to go into spoiler territory as it relates to the ending, so consider this your warning to stop reading. One of the things that defines the essence of Superman is his one rule: don’t kill. Over the course of the climactic battle, I was racking my brain with how Superman would prevail since he is obviously not going to kill Zod. The idea never crossed my mind and I was completely floored when Superman snapped Zod’s neck. In the comic book, Superman goes to such lengths not to kill, that it often gets in his own way. I had no problem with this at all. If anything, this moment was the definitive statement that Superman has changed and in my opinion, he changed for the better. This moment adds a deep level of depth to Superman’s character because of his own doing, he is now reason why he is the Last son of Krypton and will no doubt be a burden he will always carry. Plus, Superman killed Zod in the second Richard Donner film. Of course, he simply dropped a powerless Zod into a cloudy abyss inside the Fortress of Solitude. The visual is not the same as taking someone’s life with your bare hands so no one ever thinks of that moment as Superman killing someone. Superman also killed Zod with Kryptonite in issue 22 of his 1987 self-titled series so it is something that is common place in Superman folklore. This was truly one of the best experiences I’ve ever had at the movies. The theater was filled with families of all ages, couples, senior citizens, and solo moviegoers. The look of sheer amazement on their faces said more than any glowing review could convey. When the movie ended, a woman who was sitting in the row in front me looked to me and simply said, “WOW” as the room broke out in applause. When I left the theater after The Avengers and Captain America films, I was in this amazing state of euphoria and wanted to throw around a star spangled shield. After Man of Steel, I imagined myself wearing a red cape and soaring to the heavens with Hans Zimmers “An Ideal of Hope” burned forever into my brain. 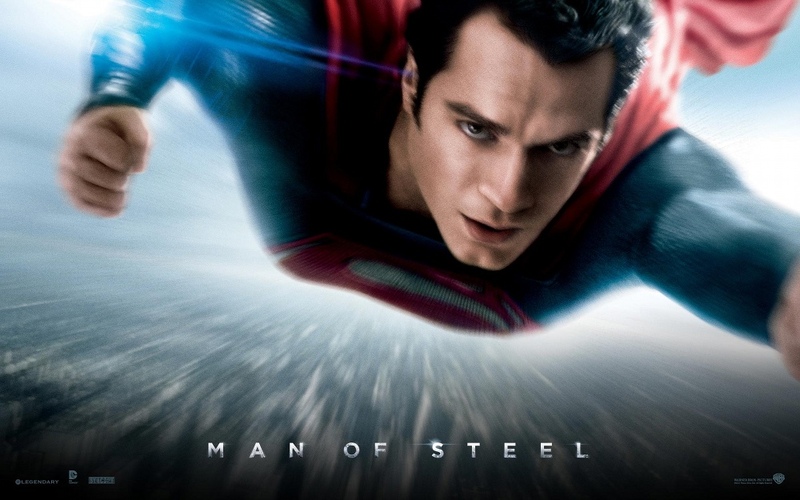 I saw “The Man of Steel” last Saturday and I loved it!!!!!!!!!! My posting about it will be up before this week is over!!!!!!!!!!!!!!! It’s good to see Superman back on the big-screen, let’s just hope its better this time. Good review Atlee. I thought the movie brought justice to the character and more than holds its own against the previous set of Christopher Reeve films. It rocked!! !